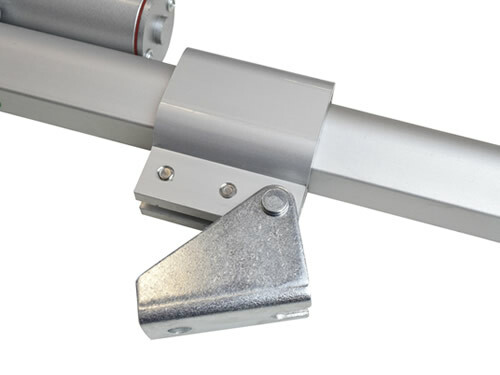 This bracket allows you to clamp the main body of some of our smaller sized actuators, for applications where either the actuator is not expected to pivot or for applications where there is not room for it to be pivoting from its base. 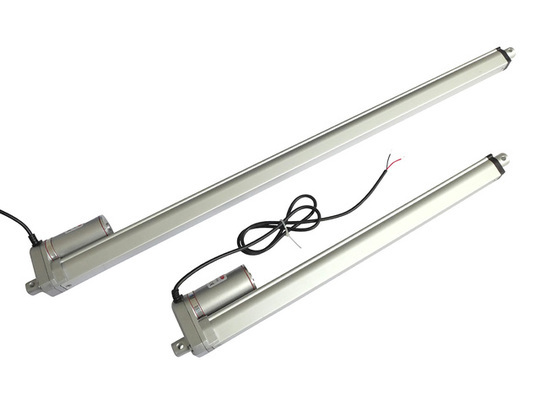 It is suitable for mounting to GLA200, GLA750, GLA750-P, GLA700-N and GLA600-S models of actuator (the stroke length must be at least 100mm for the bracket to fit). 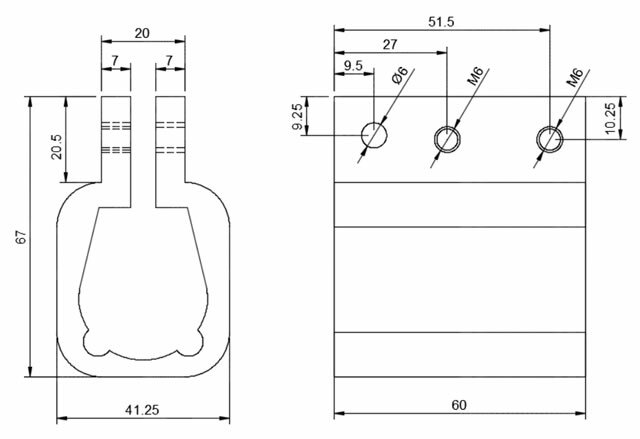 It is NOT suitable for the GLA1500-N model or any other larger sizes of actuator. As shown in the second photo above this bracket is designed to slide down the body sleeve of our smaller actuators and then clamp onto it using two M6 bolts (these are included, hexagon-socket stainless steel screws). 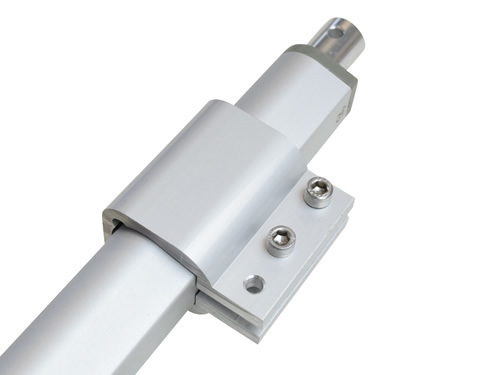 To ensure that there is a sufficient length of sleeve exposed to clamp onto the stroke length of the actuator used ought to be at least 100mm. 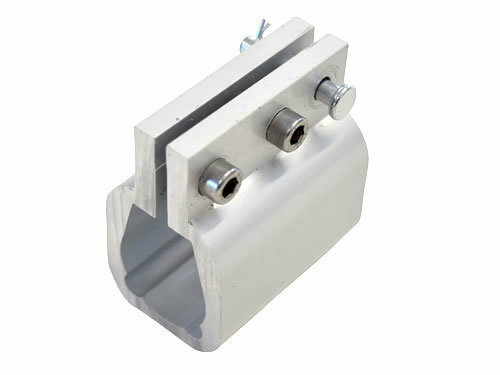 The bracket is 60mm long along the actuator axis, 67mm tall, and 41mm wide. Each weighs approximately 190g. 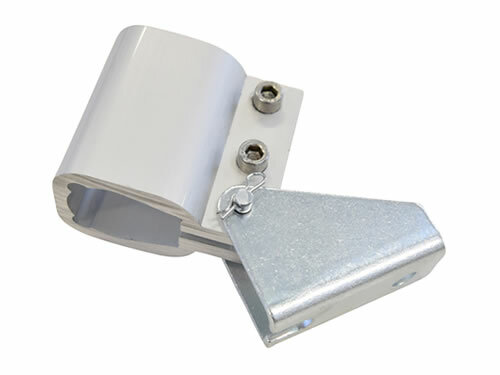 A third hole in the bracket, 6mm in diameter, allows the bracket to be mounted onto surfaces, or alternatively can be used as a pivot point in conjunction with a clevis bracket, as demonstrated in these images where it is used in conjunction with one of our 6mm mounting brackets (not included). 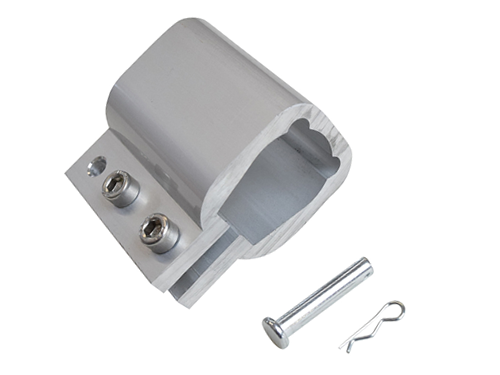 A 6mm clevis pin and pin-clip are included in case you wish to use your own pivot point/mounting surface with the bracket.